Wenzel Select Properties is located at 4941 Main Street in Downers Grove, Illinois, in the Western Suburbs of Chicago. You can contact Wenzel Select Properties at 630.430.4790. We are a leading real estate company with a proven track record. Feel free to read testimonials from our clients. If you need real estate assistance, contact Wenzel Select Properties at 630.430.4790. Our success is measured by your home buying and home selling success! Wenzel Select Properties is a real estate company specializing in homes for sale, home buying, and property management. We are located at 4941 Main Street in Downers Grove, Illinois 60515. 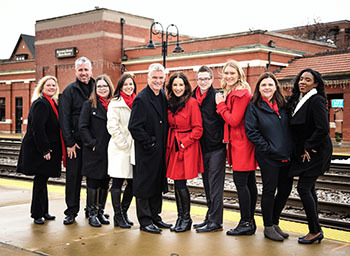 Our realtors have clients from Downers Grove, Darien, Willowbrook, Lisle, Oak Brook, Lombard, Westmont, Woodridge, Glen Ellyn, Burr Ridge, Hinsdale, as well as other Chicago locations. Call a Wenzel Select Properties Real Estate Broker at (630) 430-4790.